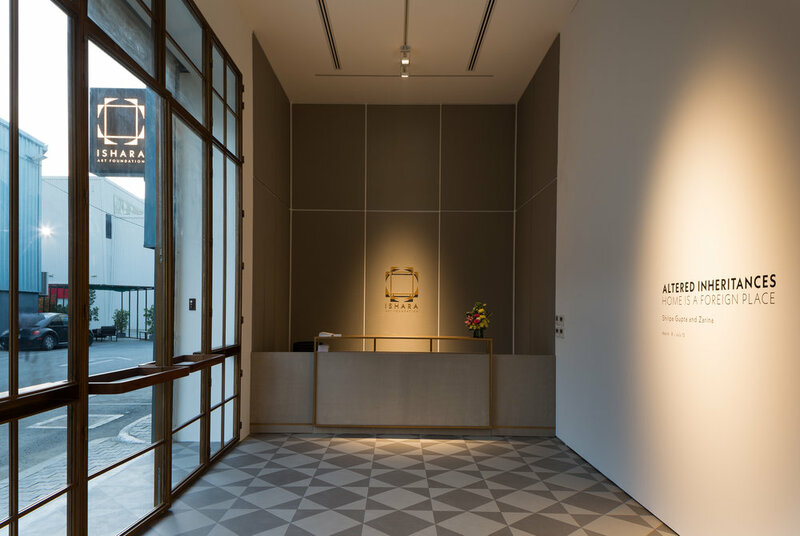 Spread across two floors on Askeral Avenue, a hub of galleries in Dubai, the Ishara Foundation will share art from India, Bangladesh, Pakistan, Sri Lanka and Nepal and the diaspora of those countries with local and international audiences. Founder Smita Prabhakar, a Dubai-based entrepreneur and patron of the arts, and artistic director Nada Raza, former Asia research curator at the Tate, chose the name Ishara – or “gesture” in Hindi, Urdu, Arabic, Persian and Swahili – to encourage conversation about South Asian contemporary art in the Gulf through exhibitions, research and collaborative programmes. 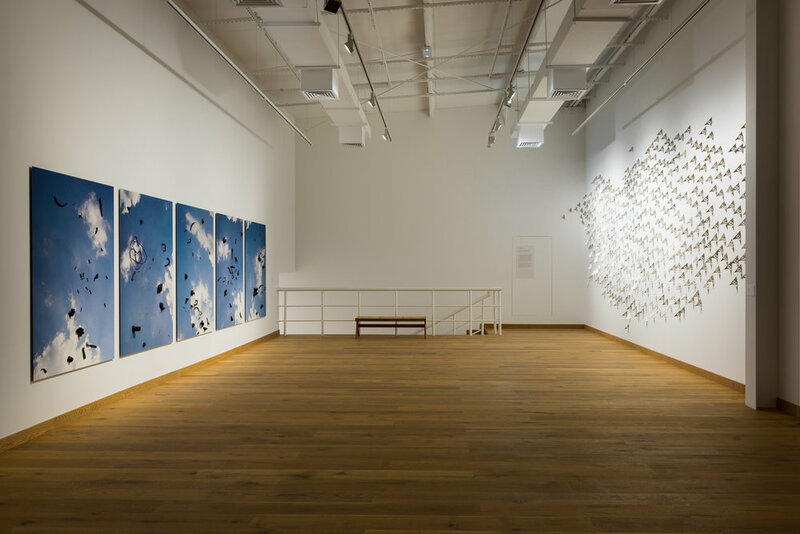 The foundation’s inaugural show is a joint exhibition by Indian artists Zarina Hashmi and Shilpa Gupta. Hashmi is displaying items from her 1999 work Home is a Foreign Place in the form of 36 woodcuts accompanied by a single word in calligraphic script, each reflecting a memory or moment – drawing on experiences moving from Aligarh, where the artist grew up, to her new home in New York and elsewhere. While Hashmi’s work draws on the personal, Mumbai-based artist Gupta conducts extensive research into collective histories and data to explore similar notions of belonging and borders, often using simple material such as string to comment on the absurdity of manmade borders. Drawing on her 2014 work Altered Inheritances – 100 (Last Name) Stories, the upcoming show traces the stories behind individuals and families who had to start anew. Inspired by the floorplan of Hashmi’s childhood home in Aligarh, the layout of the exhibition facilitates a dialogue between both artists’ works, together aiming to speak to the many South Asians – including so many in the Gulf – who have migrated within the region and beyond. Raza told us more. How did the Ishara Foundation come about? It is the brainchild of Smita Prabhakar, a major presence in the Dubai art scene. Art is changing in the UAE, with the rise of institutions such as the Jameel Arts Centre and the Jean-Paul Najar Foundation in Dubai and the NYU Abu Dhabi Gallery. Prabhakar wanted to make a contribution towards the access and understanding of South Asian contemporary art in Dubai, so the Ishara Foundation was the obvious next step, to bring artists from the Subcontinent and its diaspora to the UAE. I met Prabhakar when I was touring for the Tate as its research curator for Asia. I’ve been researching the South Asian region for 15 years or so – my first show was with Khadim Ali, then a recent graduate of the National College of Arts in Lahore, who just showed at Sharjah Art Foundation. Prabhakar’s vision for Ishara really resonated with me. I also know what it’s like to be South Asian in Dubai. Living and growing up in a place that’s not home is a familiar idea for our generation, and that notion is described in the title of the opening exhibition Altered Inheritances: Home is a Foreign Place. What sort of an audience do you anticipate and are you striving to reach? There is, of course, a massive South Asian workforce and diaspora in the region. How have you adapted your approach to speak to and reach this local audience, as well as the those who are visiting Dubai? I only arrived in October so I still have to test the waters here, but having previously worked with public audiences at Tate in London, I am trained to make things accessible [to a variety of audiences]. There will be exhibitions geared towards a general audience and projects that are more challenging. We will have to start targeting and reaching out to specific groups as we go – we do not want to restrict ourselves. Personally, I will be happy if South Asian teenagers come and say, “I can do this too”. Altered Inheritances: Home is a Foreign Place Installation at Ishara Foundation. Image courtesy of Sutton Press. Where did the idea of the inaugural show come from? What was the process of bringing Zarina Hashmi and Shilpa Gupta together? When I arrived in Dubai we were trying to decide between the two artists and I thought, let me see if there is a dialogue between their work. Once I started looking at their formal approaches I realised it was uncanny. I think the word “affinity” is right: they don’t turn to representation, but instead help you get in to the textures of an experience to tell their stories. So this exhibition was curatorially driven and both artists were very generous to come together for this collaborative project. A previous show I worked on called Lines of Control: Partition as a Productive Space, first in London, Dubai and Karachi, then coalescing at the Johnson Museum at Cornell, literally illustrated the formation of nation states. In contrast, Zarina Hashmi and Shilpa Gupta are approaching the subject of loss and division without being representational. The exhibition is quite demanding for the viewer and both artists are asking you to be in the shoes of someone else. Both artists deal with complex political issues. In what ways does the exhibition create a dialogue between the political and personal? 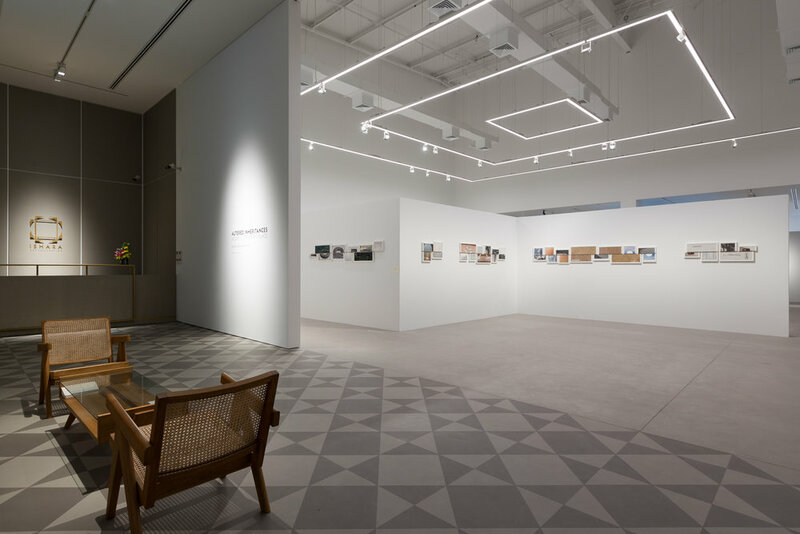 And what is the symbolic role of Dubai in relation to this exhibition – specifically to the themes of belonging and migration arising from the exhibition? I want people to respond emotionally. The closing work is Shilpa Gupta’s Speaking Wall, a piece that can be experienced by one person at a time. As the viewer, you are in a position where someone is talking to you, but you cannot cross the line to talk to someone you love – you are out of reach, whether it is because of Partition or because you are working in Dubai and your family is at home in Kerala. While the work is very specific, it is also completely open for any viewer to come and feel the experience. 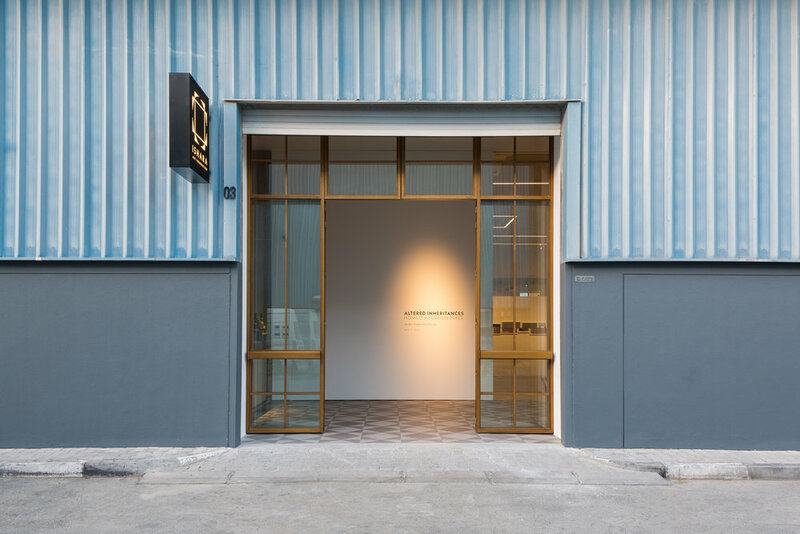 Altered Inheritances: Home is a Foreign Place is on at Ishara Foundation until 23 June 2019.